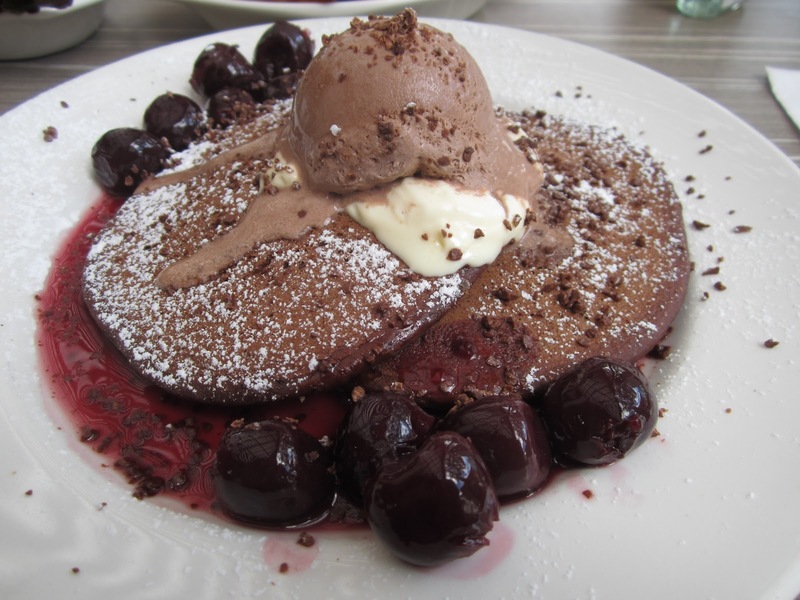 Having visited the ‘Pancake Manor’ in Brisbane city a couple of times and having come away greatly disappointed on each occasion, we were somewhat surprised when another Pancake Manor sprung up in Garden City on the south side of Brisbane. A lover of all things sweet, I couldn’t help but satisfy my curiosity by paying the new establishment a visit. Following a couple of failed attempts (you need to book) we made our way to the Pancake Manor one morning for brunch. The wait-staff were pleasant enough but for the most part seemed to be fairly inexperienced and it took a while to get seated. 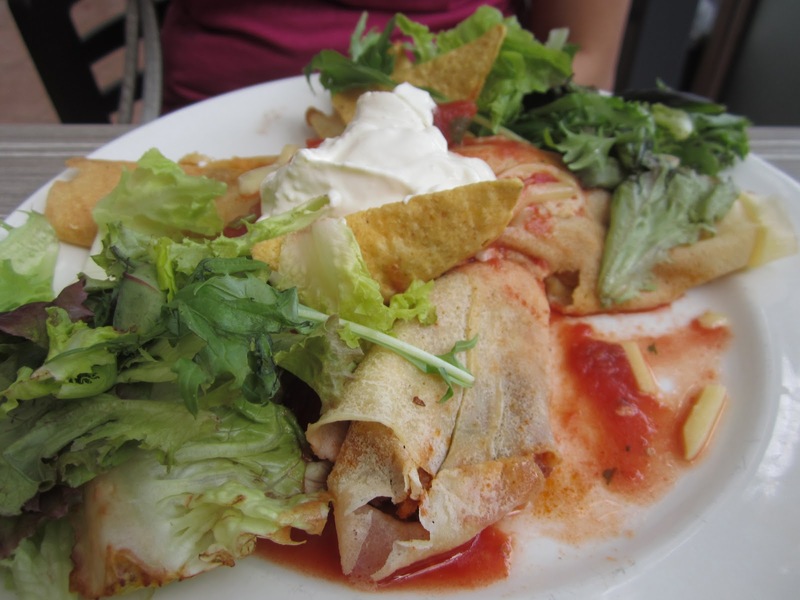 There were only two of us so one ordered a sweet pancake whilst the other ordered a savoury crepe – both to share. We had to wait quite a while again for our food to arrive (surprising since it’s all premixed) and when it finally did, we were somewhat perplexed at overall presentation of the meals. The meals are reasonably expensive (circa $15 – $20) for pancakes and crepes but that’s forgivable if the quality is there. Sadly, based on our experience, this is not the case. The crepe had very little filling and overall looked quite flat and unappealing. The meat sauce was tasty but was akin to something that had come straight out of a bottle. In contrast the pancakes were quite large and one in particular was very thick. Whilst the taste of the pancake was quite enjoyable, the thicker sections were very heavy and gave us the sensation that we were just chewing on flour and water (which of course we were!) rather than a delicious stack of chocolate pancakes. I know others that swear by Pancake Manor as one of their favourites but for us – 3 strikes and you’re out – next time we have a hankering for pancakes/crepes we’ll either fire up the grill at home or go elsewhere.